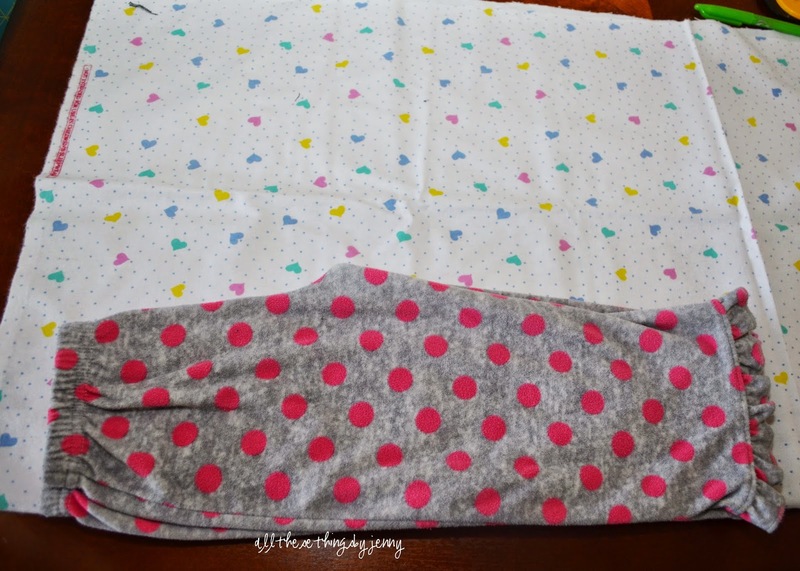 First, you need about 1 1/2 yards of fabric (I used flannel because its super soft and warm), 1 yard of 3/4" to 1" elastic, old pj pants, scissors, thread, sewing machine. Some of the tutorials I have found say to cut around the pants but I felt better tracing them first. These pants are a little short but currently fit Ladie so I added 4" to the bottom. 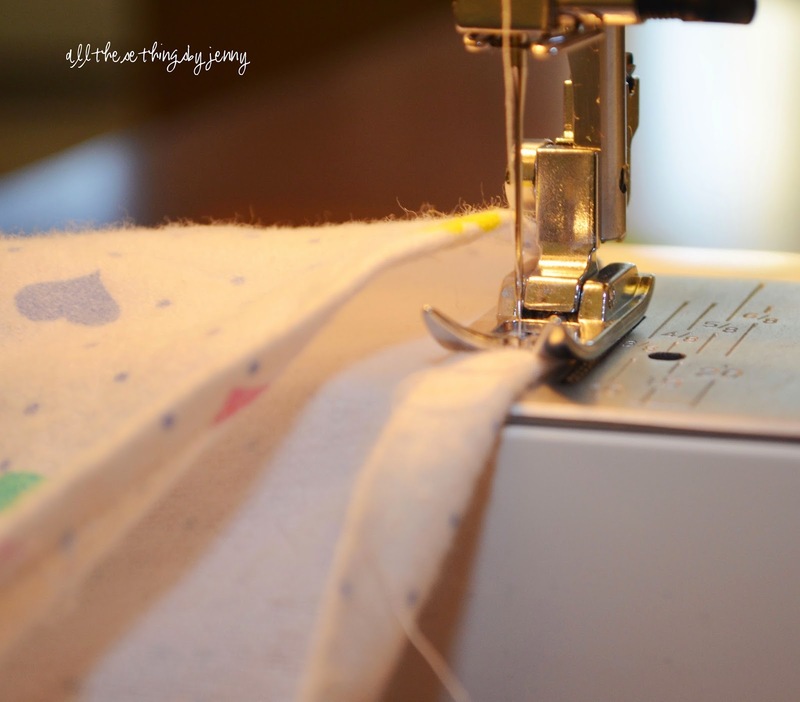 Be sure to also add about 1/2" to the side for seams. 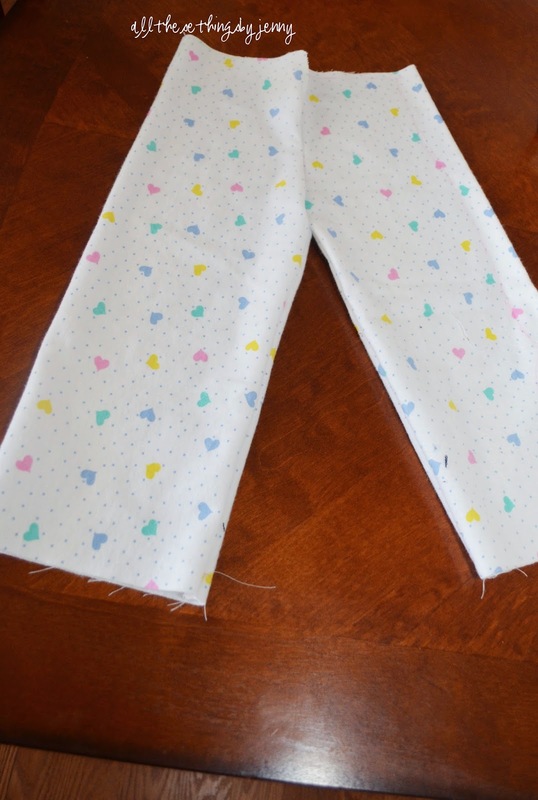 After tracing the pants twice (one for each leg), I cut them out using a rotary cutter. You should have two shapes like this. 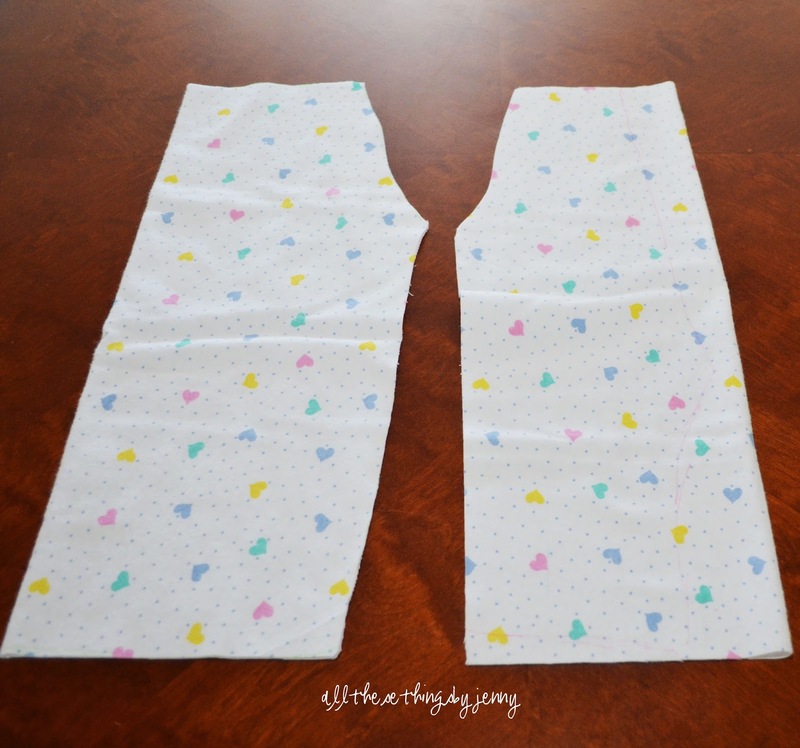 Turn the legs inside out and sew a straight line from the bottom of the pants to the crotch on both legs. 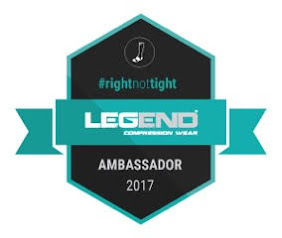 Turn one leg right side out and put it inside the other leg. The two right sides will be touching. 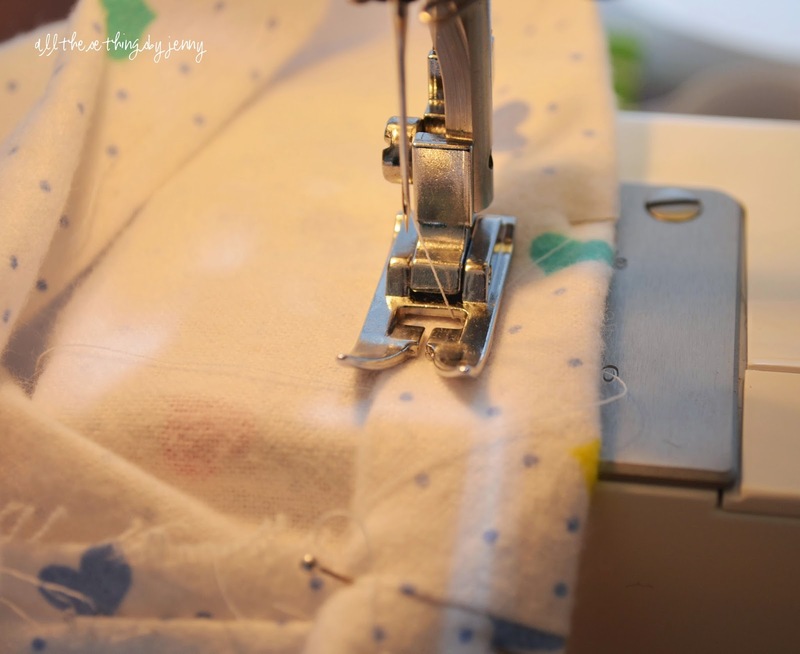 Sew a line from the top of the pants, down to the other seam. I'd double stitch both sides because this area gets a lot of wear. Then turn the pants inside out. Now you're going to hem it. 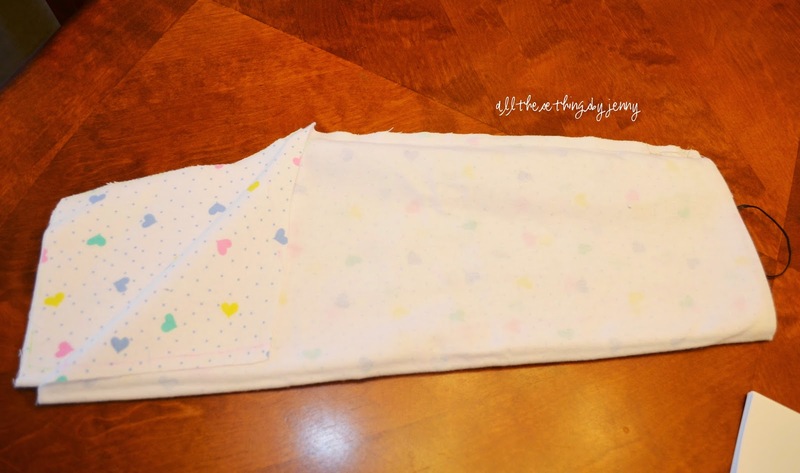 Fold the bottom up about 1/2-3/4" and press it so that it will sew a little straighter. Next is the waist band. Fold over about 1", maybe a little more than that and press it. 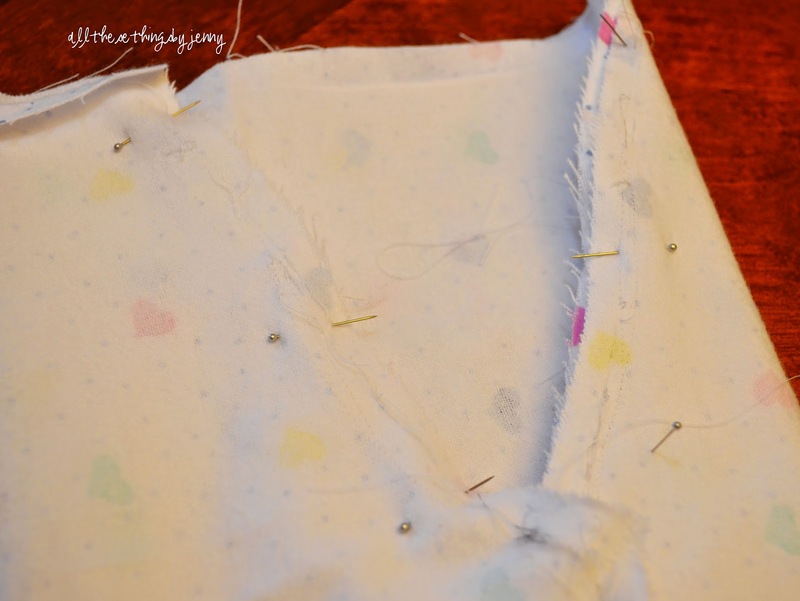 Sew a straight seam all the way around. Leave about a 2" gap where you can put the elastic in. To put the elastic in, put a safety pin on one end of the elastic, and insert it into one side of the waste band. Ease it all the way through until the it pulls through the other end. Sew the two ends of elastic together and cut the excess off. Then, to finish the pants, sew the hole closed. There you have it. 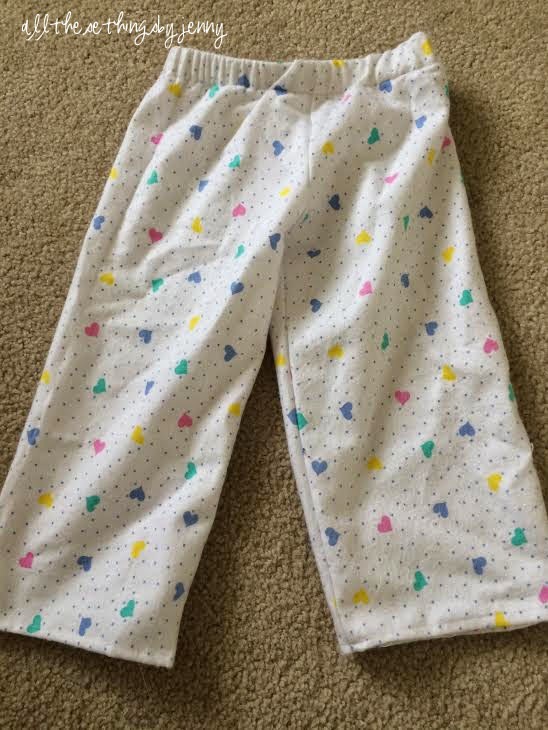 Pajama pants, with out a pattern, in around 20 minutes.